There is a TON of behind the scenes work going on for upcoming features. Those features may start showing up soon, and are sure to impress. In the meantime, this release has NDI support! Try it out and let us know how it works! The Important NDI too here is the Scan Converter. Once Installed and ran, you get a tray item on Windows. 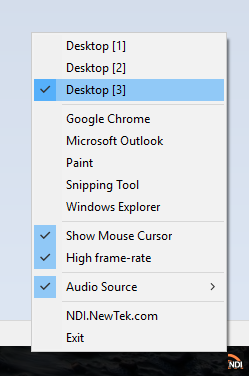 Right clicking that tray Icon will let you choose which Monitor or Window you would like to broadcast over NDI. You can also choose your audio device. Is there a reason why you guys work on edge case uses, and ignore more widely needed features such as supporting GPU manufacturers like AMD? I mean surely more people would benefit from you supporting AMD GPUs than there are people who even know what NDI is. I mean at this price point wouldn't someone who cares about NDI be using something more professional than gameshow? Just a thought, especially considering you are the one and only software of this type that doesn't support them. 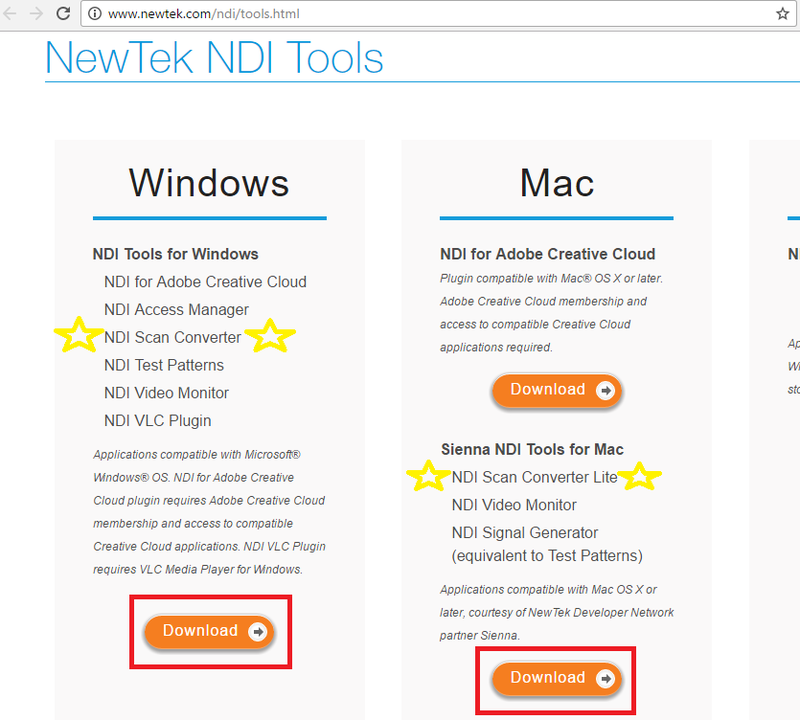 I guess the 3 people who use real sense or NDI or Tobii, or whatever other thing the pro streamers clamor for you are going to support. Just realize for every one of them there are normal people who want you to work on basic features as well. Lots of money and business politics, I'm sure. I appreciate NDI. Bringing in boats of sources inside a streaming house, iPhone cameras, program outs to monitors. You're right, super professional usually reserved for US$500+ packages like Wirecast. Gameshow is the transition to professional we can afford. With Gameshow derived from Wirecast, I'm actually surprised there's NVENC support given its abysmal quality. That said, VCE would be great for what Gameshow is, and for cases where QuickSync and x264 aren't options. VCE support was supposed to be a thing already. Seems development stalled. I hard a hard drive crash, so I have to start over with Gameshow making all my overlays and such. Since, I updated the software 3.7 I have a problem. Gameshow game capture does not work the same as before. This is what I did. I chose game & cam from the list of choices and Gameshow opened. No game capture, when I look at the Capture Card Properties, there is "video format" and "pixel format". The capture card area is different and I am not sure what to do here. I included a couple of pictures. Not sure what to do here. I did watch the video on "Adding Capture Card" but that is a video cam so it did not help me with this. Thank you for your help. I have gone over this quite a few times, but here goes again. Current hardware encoding options require a higher bitrate to get the same quality as x264. For twitch, this renders hardware encoding useless for all but a few streaming scenarios. In fact, unless your streaming destination has transcoding, it would be a detriment to your stream and it's audience to use hardware encoding. That being said, if you are recording locally at the same time, or not streaming and just recording, it can be usefull since you are not bitrate limited by your CDN. But in that same scenario, you would also need to be an AMD user. This creates a pretty narrow market that could benefit from AMD encoding at this time. This will change in the future as hardware encoding improves. While a few users would certainly take advantage of it, very few would truely benefit from it. With that in mind, it needs to be prioritized agaisnt other customer wants. 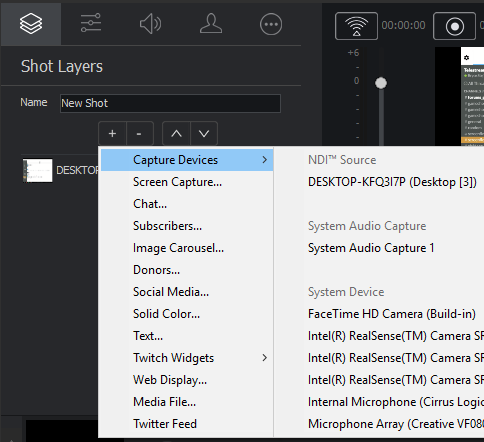 NDI ranks higher on that list, as it opens up many more networked source types, and can lower the barrier to entry when moving to a dual machine setup. It also allows you to incorporate AfterEffects intro outro animations, many other Adobe tools, and so much more. AMD encoding may raise in priority now they Ryzen has been released, but it would still be lower than a TON of other requests like grab handles in the render engine, z-rotation, BEAM support, etc. AMD encoding currently is a bit more of a checkbox on a feature list, than it is actually useful to a large audience. This is surely going to change over time. Also keep in mind, from time to time, Gameshow will get features that might leave you scratching your head, "How did that take priority over feature XYZ?". Gameshow is a branch of Wirecast, so if something was developed for Wirecast, that makes some sense in Gameshow, it may be merged. Does not neccesarily mean it was prioritized as a Gameshow feature over feature XYZ. Gameshow is the transition to professional we can afford. Glad you think so Randorn Canis ! Also Dan , we do not support realsense or tobii eye tracking that you mentioned. Both are an incredibly narrow user base, and currently we would rather spend our time tackling features that have wide appeal. I love this NDI stuff. Sadly their iphone app doesn't work for me but this is even better than what i used to do for multi-pc streaming. You guys rock! Getting used to this professional-style live workflow is neat as well :D I'm honestly surprised this nifty little program isn't more well known. I second that AMD encoding stuff. Since mac laptops and (i think desktops) use amd cards now, it would be nice to have. My laptop has an AMD gpu so it would help performance a ton. The UI can freeze some times when switching scenes if too much is going on. Maybe amd support could help that. Bryce Stejskal does that include apple x264? also the release of the new vega GPU might be a reason for amd support as well as mac users mostly being on amd.